Recently I discovered that I am not consuming enough protein and this was quite a big revelation to me as I thought my diet was quite balanced. But apparently not. It’s when I was analysing my results from calorie counting app Fitatu that I made this discovery. Fitatu app is great as it doesn’t only count calories for you but it also shows you how many macros you are consuming, so basically it tells you whether you eat enough carbs, protein and fats. I’ve learned that on certain days I didn’t consume enough protein and that was all because I don’t usually eat meat (only sometimes and organic). If you eat meat it’s very easy to get your recommended protein intake – one average steak, for example, contains 62g of protein, while chicken breast contains 31g. Our bodies need 0.8 grams of protein per kilogram of body weight so if you weight 60kg, then your daily needs would be 48g. So now you can see how easily it is to meet your protein needs when eating meat, but it’s not so easy if you are a vegetarian or vegan! I know some people say that it’s easy to eat enough protein when you don’t eat meat but this is not necessarily true for everybody. Monitoring my calorie intake with macros showed me that I don’t always get enough. I have also seen online that when people go vegetarian/vegan they may not be getting enough of these vital nutrients (I saw the meal plans some people were sharing online). Typical vegetarian meals which are popular among non-meat-eaters are things like vegetarian pasta (pasta with some kind of veggies), vegetable soups, rice with beans, quinoa with veggies, vegetarian burgers and baked potato with beans. Now, with some vegetarian meals you get a good amount of protein but with others, you don’t. The key is to record everything you eat and see whether your diet is balanced. Since I’ve discovered my protein intake was not high enough (on certain days) I am now paying more attention to what I eat and try and do my best to include more of protein-rich foods into my diet. I started adding protein powder to my breakfast to help me reach my daily quota but I also use other methods. Protein powder is the first on the list as it’s really in protein, helping you meet your protein needs easily, especially when you add it your breakfast or smoothies. I stayed away from protein powders for a long time as I didn’t think I need them but now I know they can be really useful. Recently I started adding brown rice protein powder from The Protein Works to my breakfast every day (1 scoop = 26g protein) and wow, what a difference this makes! I don’t only feel full for longer, but at the same time I am consuming fewer calories for breakfast (I have fewer carbs and more protein) and since I’ve been taking this protein powder my skin is just amazing and I rarely get breakouts. I didn’t know that but a lack of protein in your body can make you more prone to breakouts, big revelation! Just keep in mind, not all protein powders are created equal. Some are better than others in terms of ingredients they contain. Try to choose the ones which have 100% natural ingredients and contain natural sweeteners such as stevia (not the artificial ones). I like brown rice protein powder as it has a quite neutral flavour and you can add it to just about anything. It’s also 100% natural (no artificial ingredients). I’ve also tried vegan protein powder from The Protein Works (in Chocolate Silk flavour) which I found delicious (not too sweet) and this is great on its own as a shake although you can also add it to smoothies and porridge if you like. 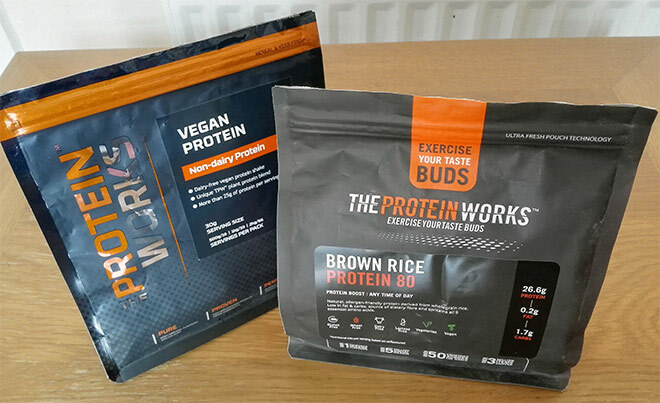 If you would like to buy yourself some protein powders, I’ve arranged for my readers to get 25% off from The Protein Works, just use the code BEHEALTHY25. Soups are lovely (I could eat them any time!) but unfortunately if you eat only a vegetable soup with some bread for lunch, then you won’t be getting much protein. 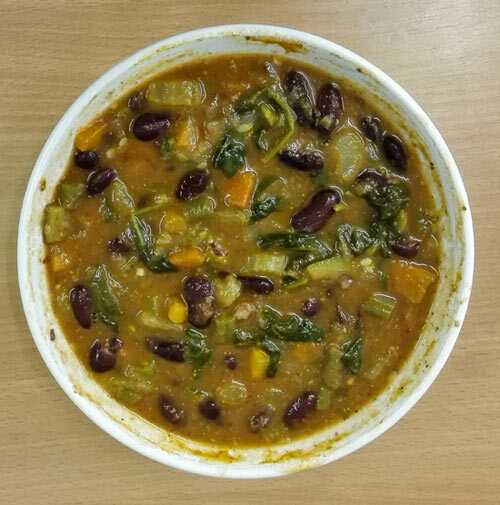 Vegetable soups are mainly made of vegetables and sometimes they contain peas, lentils or beans and some shop-bought ones can have an addition of cream/milk. Just think of soups like butternut squash soup, tomato and basil soup, leek and potato soup, etc. Now, the best is to make your own soup at home and make it protein-rich by adding beans, lentils or peas to them. Lentils and white beans are the best to add as they have a higher percentage of protein than some other type of beans. Talking about legumes, chickpeas are a great source of protein as well, containing about 19% of protein. Add a chickpea salad or hummus to your daily meal plan and you will be on the right track of meeting your daily protein needs. When I stopped eating meat I also stopped eating things like chicken salad and a sandwich with chicken breasts. And I would never eat this kind of food again. Until I discovered Quorn. Quorn products are made of mycoprotein (a high-quality protein made from fungi) and they are a great meat alternative. I buy Quorn ‘roast chicken’ fillets which I use in my salad and sometimes Quorn mince. Eating Quorn products really helps you with your daily protein needs so this is something consider trying. There are some other meat alternatives but usually they are soy based which I avoid. Did you know that certain grains are higher in protein than others and you should really include them in your diet especially if you don’t eat meat? 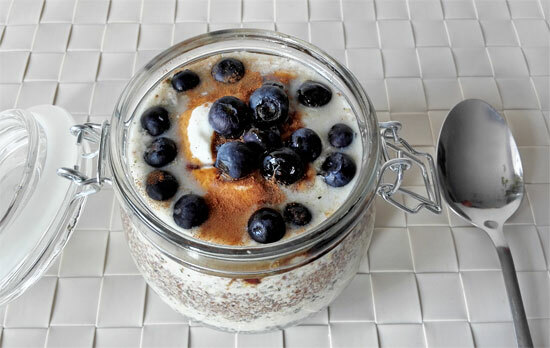 For example, quinoa (classed as pseudo-grain) contains 4.4% protein which is more than white rice (around 3%) but the reason why it’s so beneficial is really because it is a complete protein source, meaning it contains all the amino acids our bodies need. 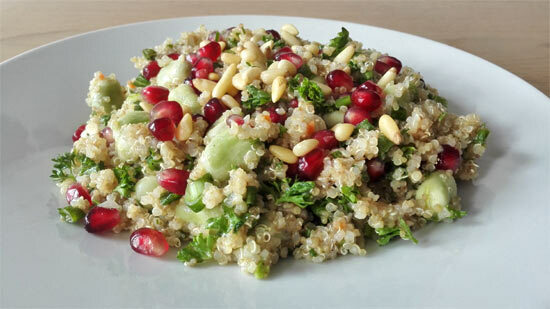 Other protein-rich grains include wild rice, millet and buckwheat. If you are not vegan, eggs can be really helpful at reaching your recommended protein intake. An average egg contains about 6g of protein, so have two and you will get around 12g of protein. I personally eat eggs once or twice a week and I would normally make them boiled and eat them on a toast or have them in a salad. Sometimes I make healthy pancakes but that doesn’t happen very often! So if you are trying to increase your protein intake, don’t forget eggs. 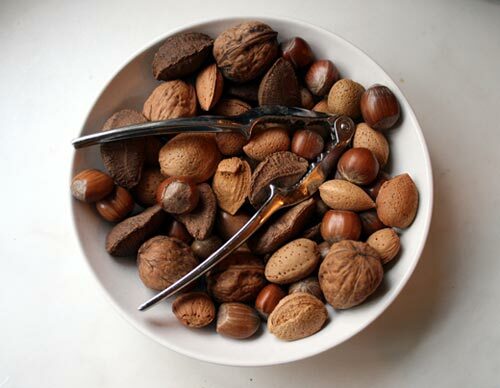 One of the best snacks to have which are protein-rich are nuts. Nuts have about 20% protein, some more, some less. So have a handful of nuts every day to try and meet your daily protein needs, just don’t go overboard as nuts are high in calories and too many of them may give you stomach issues. Also, make sure you go for plain, unsalted nuts as these are healthier. Don’t like plain, unsalted nuts? Then maybe you should try protein bars from Protein Kiq. These bars are made of only nuts, seeds and honey and have a high-protein content (14g each). I am yet to try them, but they sound great. Try not to buy protein bars which are full of sugar and other unhealthy ingredients. Not long ago I was lucky to try newly-launched protein snacks from The Great Stuff Company. I must say these snacks taste absolutely amazing and they come in four different flavours. They are all really tasty and healthy and great to take with you when on the go. Their Super Seed Crispy Bites with Matcha & Spirulina are the highest in protein, containing 27%. Although they contain spirulina, they are not revolting at all, they are really tasty actually. You also have an option to choose from Super Seed Almond Crunch with Hemp Seeds & Raw Cocoa (20% protein), Super Seed Cashew Crunch with Hemp Seeds & Ceylon Cinnamon (18% protein) and Super Seed Crispy Bites with Turmeric (26% protein). Spirulina is one of the richest natural sources of protein on the planet. It contains a whopping 60% protein. The bad news? It tastes horrible! Apart from being protein-rich it also contains heaps of minerals and vitamins so it’s really good for you. You can buy spirulina powder (which I don’t recommend) or you can go for tablets – these are the best as you just swallow them without tasting anything. The only downside is that you have to consume many of them to make any difference. I’ve tried spirulina tablets from Green Goddess and I am happy to recommend as they are organic and contain no nasties. Some people who don’t eat meat find it hard to meet their daily protein requirements and for that reason it’s not a bad idea for them to supplement with a protein powder and even with spirulina. 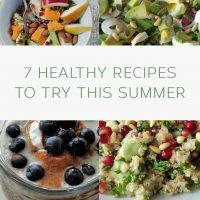 Of course, the aim is always to get everything you need from the food you eat daily so do try and eat more of protein-rich grains and don’t forget about nuts and eggs. Add beans and lentils to your soups and use healthy meat-alternatives when you can. If all your best efforts fail, get yourself some protein powders and healthy protein snacks. But it’s good to have those anyway – they will come handy when you are busy and don’t have time to plan your meals ensuring your protein intake is sufficient. If you don’t eat meat, how do you make sure you get enough protein? Do you track your macros? Do you supplement with protein powders? This is interesting thanks. 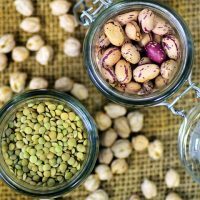 I do eat meat but try to limit my meat eating, and I think sometimes I assume I’m getting enough protein but perhaps I need to check!These are great tips for getting more protein in your diet. I think it’s a good idea to track your macros and then see whether you get enough protein or not. Lots of people just assume they get enough but many don’t! During my research on plant protein sources (and healthy plant foods in general) I’ve come to realize that the focus should always be on whole foods. 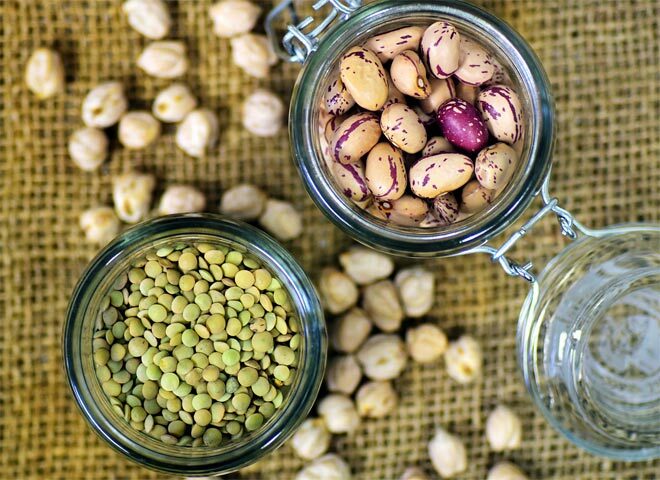 Meat substitutes and plant protein isolates can secure the adequate protein intake, but their overall nutritive profile is much ‘weaker’ compared to whole grains, legumes, nuts, and seeds. Always good to exchange info and inspiration. Keep it up! You are right, nothing can substitute whole foods but also when I focus on that a lot I don’t seem to get enough protein, so that’s why I am turning to powders. I’d rather do that then not get enough protein as not getting enough can cause all sorts of issues. But thanks for the comment, you do have a point! That’s for sure. You definitely want to stay on the safe side when it comes to such a vital nutrient! Hemp protein can also be a great choice in that case, given its amazing amino-acid composition and lots of other healthy ingredients. What’s your take on it? Have you tried it out? I’ve tried hemp protein before after having heard some good things about it but I cannot stand the taste! For this reason I am sticking with more neutral flavours such as brown rice protein..